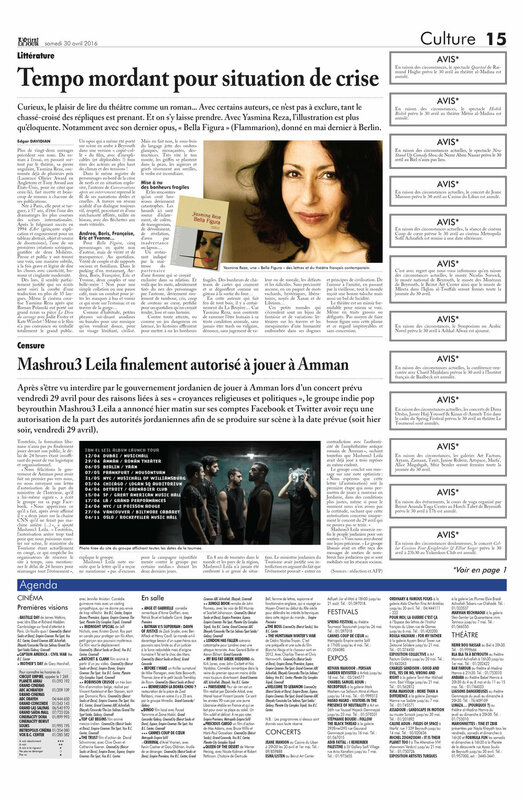 Avis, an artistic intervention published in the Lebanese newspaper L’Orient le Jour on 30/04/2016. Avis consists of a series of fake cancellations of cultural and artistic events of the same day due to “current circumstances.” Inspired by Fattouh research on the archive of L’Orient le Jour, the artist repeats the mentions that appeared heavily in the newspaper during April 1975 when the Lebanese civil war started and when events were canceled due to circumstances. A big debate broke out on Facebook the same day. The false cancellations created a great controversy where some places cited and who did not understand that it was an artistic project wanted to file a complaint against the newspaper. 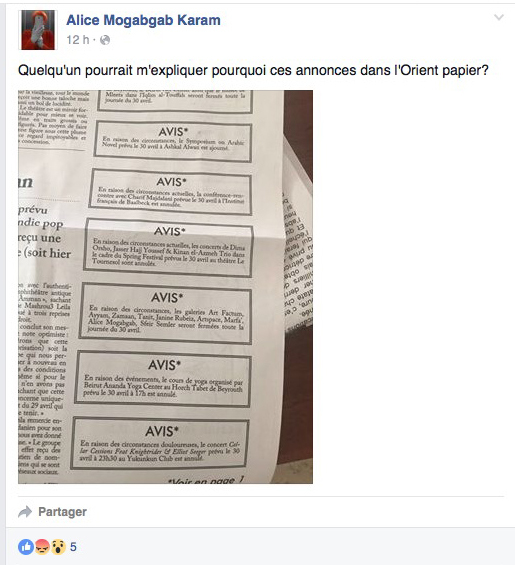 Many reactions from readers were expressed on Facebook. The newspaper's editor had to write a message that he posted on his Facebook page and three Lebanese galleries published the following day a "right of reply" in the same newspaper in which they expressed their dissatisfaction. 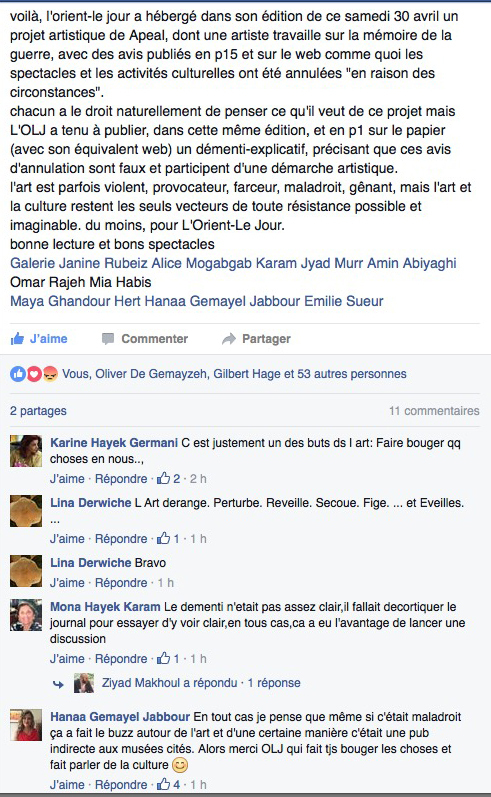 Two days later, Fattouh published a long article explaining her project and artistic statement. 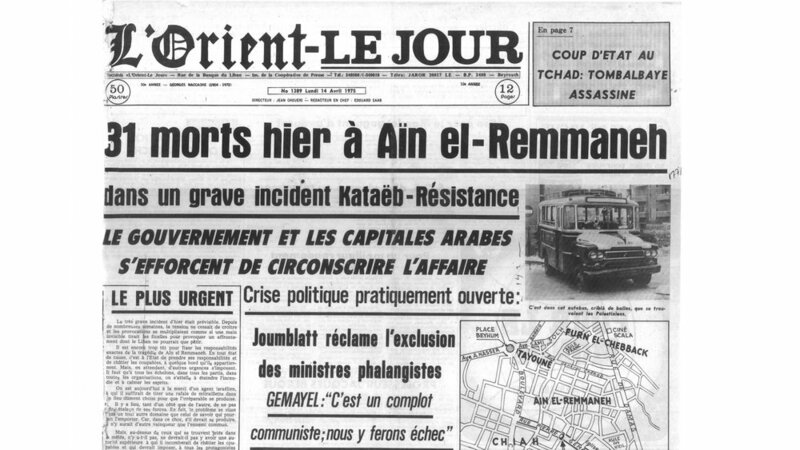 The animation below was displayed the same day on the website of the Lebanese newspaper l'Orient le Jour.